Our timber systems are as standard supplied in Scandinavian heartwood pine either painted or lacquered with U-values as low as 1.2w/m2k on the finished elements. On request our products can also be supplied in a number of different timbers such as beech, oak or mahogany. 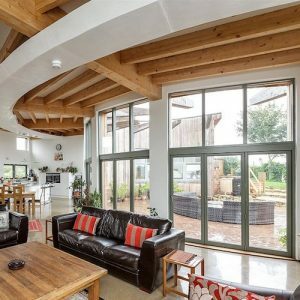 Amongst our window and door configurations we offer sliding doors, tilt and turn doors and windows, fully reversible windows, and glass-to-glass corners up to 2.5m in height and all in probably the largest single unit sizes available on the market for timber glazing products. 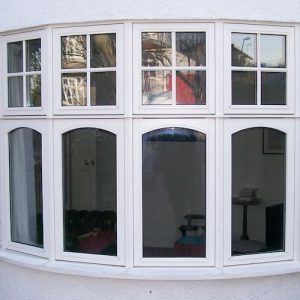 In addition the timber window system can be supplied with a decreased post between frames, appearing as a single post, to elements giving the system the appearance of a continuous façade system in a simple, clean and sleek design. 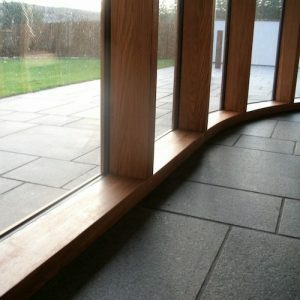 With or without glazing bars they can be used in both traditional and modern buildings alike and of course be painted in any RAL colour. All our timber products are designed with the slimmest possible profile and come in a large variety of configurations.